I love EPRIBs. When asked what one thing I would take with me offshore, I always answer: an EPIRB. There is simply no valid argument against these devices. I recommend them to friends, insist on them for family and think anyone who goes to sea without one is just plain stupid. Now that we’ve cleared that up, here is another thing I believe: EPIRBs cannot save your life. 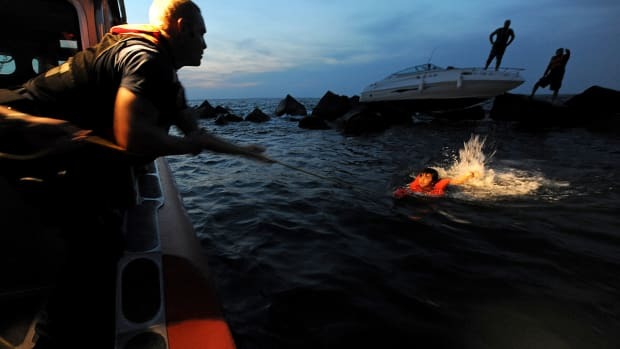 All they can do is tell the rescuers where the EPIRB is — not you, not your boat, not your life raft. If I could remember the number of searches I have been on following an EPIRB activation — where we never found a thing and no one came home — that number would hollow out your soul. Though they are attributed with saving the lives of over 1,500 mariners per year, in my career I have seen more risky decisions made — many of which ended in tragedy — because an EPIRB was used as a sort of “Easy Button” to reset the game if things went wrong. They can’t. EPIRBs are dangerous when boaters think that having them (alone) is enough. EPIRBs won’t help you stay warm. You can’t use them to stay afloat. They will not make the ocean a less dangerous place or keep you alive a minute longer if you get into real trouble out there. EPIRBs do not save lives — rescuers do. You should always remember that they are a communications device, and nothing more. 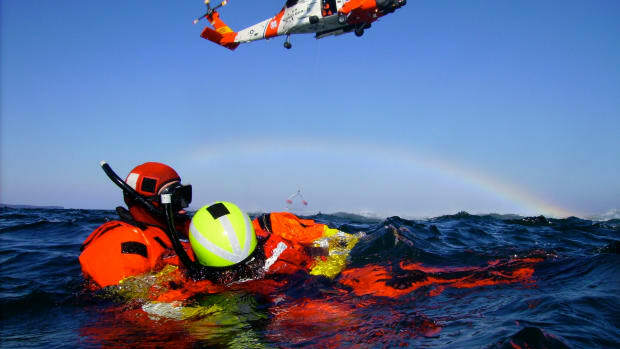 Like every other piece of equipment on board, proper use of an EPIRB takes — at least — some time, consideration and effort. And it’s not enough to simply have one aboard — you have to know how to use it. 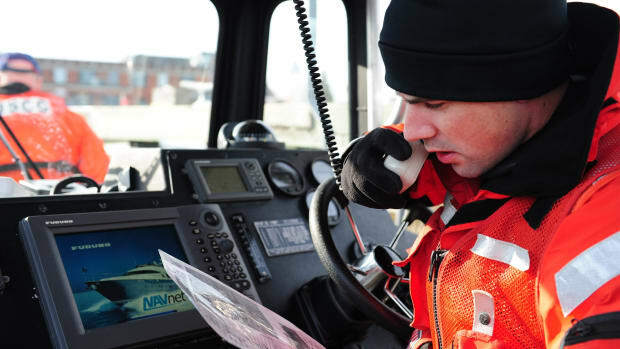 Just like your VHF radio, your EPIRB needs to be registered. It&apos;s the information in that registration that gives the search and rescue teams some pretty vital information about what they are looking for. And it can include more than just who to call and your vessel&apos;s particulars. In fact, if used correctly, your EPIRB registration data can send rescuers your entire float plan. While the registration allows you to list two emergency contacts, with up to four phone numbers each, the most unused field in EPIRB registrations is the “Additional Data” field. It’s a 500-character space where you can write whatever you want. 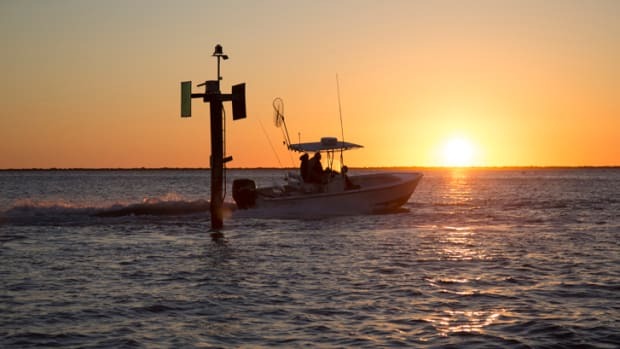 Your EPIRB registration can be updated as often as you like with information such as “Leaving 08-12-17 – 0800 - from Apollo Beach, Heading for Dry Tortugas. 4 POB.” (I wish.) Or you can act as your own best emergency contact and provide a link to your float plan. I use the "Additional Data" field to link to my online float plan. If I keep that link updated, it becomes all I really need in my additional data field, and provides searchers the best possible chance of finding me. You don’t need to have your own website to link to your float plan. You can use Dropbox or Google Drive to simply link to your Word or PDF float plan document and provide everything that might possibly be helpful to searchers. My friend, Behan Gifford, provided an excellent example of a well-considered float plan and EPIRB "Additional Data" field use in her Sample Float Plan. 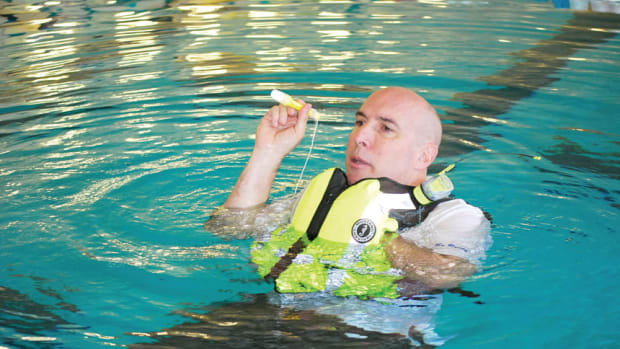 You might hate hearing this (sorry), but Category I EPIRBs – the kind that automatically release and “float free” from your vessel — do not always automatically release or float free from your vessel. They have to be mounted correctly. What “correctly” is can be a very nuanced thing that depends on vessel type. Sailboats tend to capsize and take a long time to sink. The hydrostatic releases that allow EPIRBs to release from their mount will not release until submerged at a certain depth. 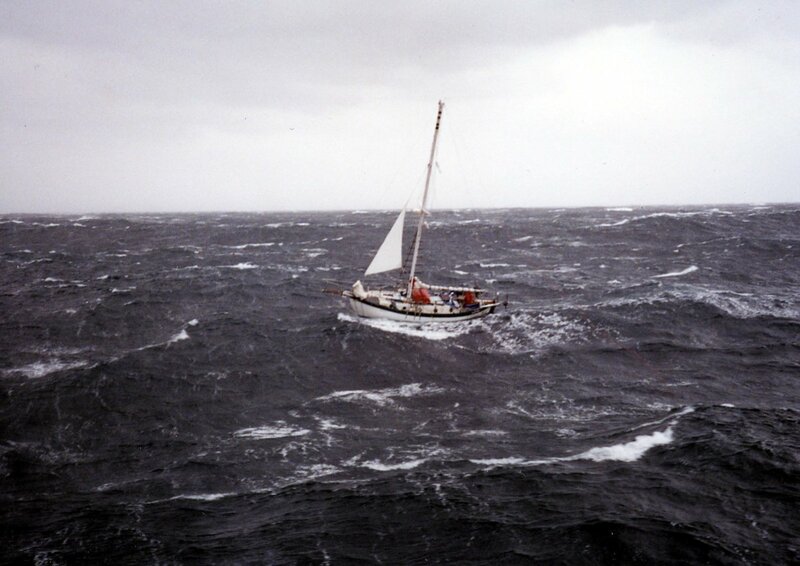 If mounted inside the cockpit of a sailing vessel (a common thing), hydrostatically released EPIRBS may not get to release depth – ever – and floating free is not possible from the midline of a capsized vessel. I suggest sailors find a way to mount their EPIRBS on the outside of the rail. At sea, in an emergency at night, is no time to be reading the directions. If you haven’t practiced activating your EPIRB, then you will not be good at using it during an emergency. 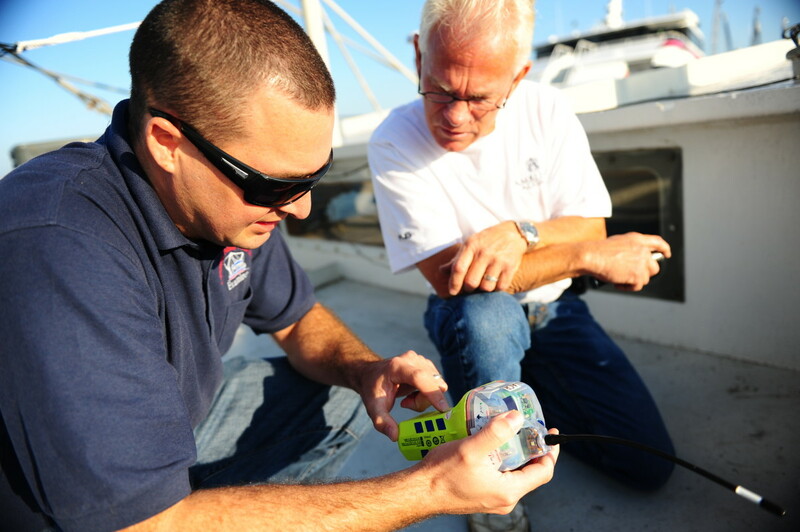 Though you should not actually activate the EPIRB to “test it,” you should inspect and follow testing guidelines for your EPIRB monthly. Guidance on how and when are linked here. 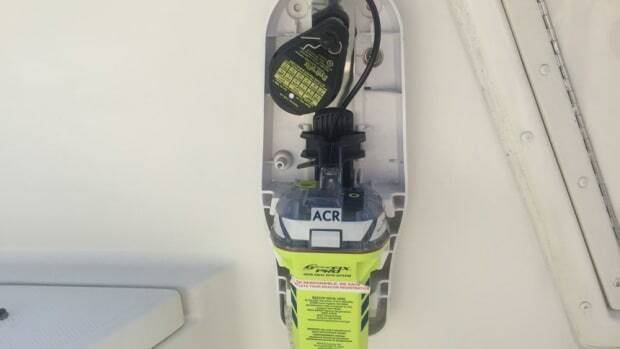 If you are not removing the EPIRB from its mount every month, completely, then you are not inspecting your EPIRB. Get on it. Remember, an EPIRB won’t save your life — it will only make it much easier for someone else to do that. And let me emphasize, I am not saying EPIRBs are bad. I’m suggesting that perhaps, some of us may be using them incorrectly, with a false sense of confidence. EPIRBs are a tool of true last resort. Their activation often follows chance after chance to call in for help that might have avoided the dire emergency you’re now facing. Don’t rely on them as the only gear you need to be safe, but do have them aboard and treat them as the vitally important tools they are by updating your registration and checking the condition of your EPIRB, often. 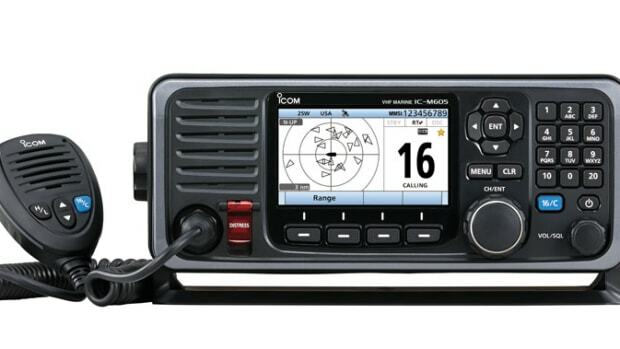 These electronic devices are last-ditch wonder-flares for distressed mariners lost at sea, and for that purpose they are my favorite must-have things aboard any vessel. But they should never be used as a planning tool. They are not to be taken into account when making ANY decisions about what is safe and what isn’t, or about what you can handle and what you can’t. They will not keep you out of trouble. And if you don’t feel safe making the trip without them, then you have no business making the trip at all.